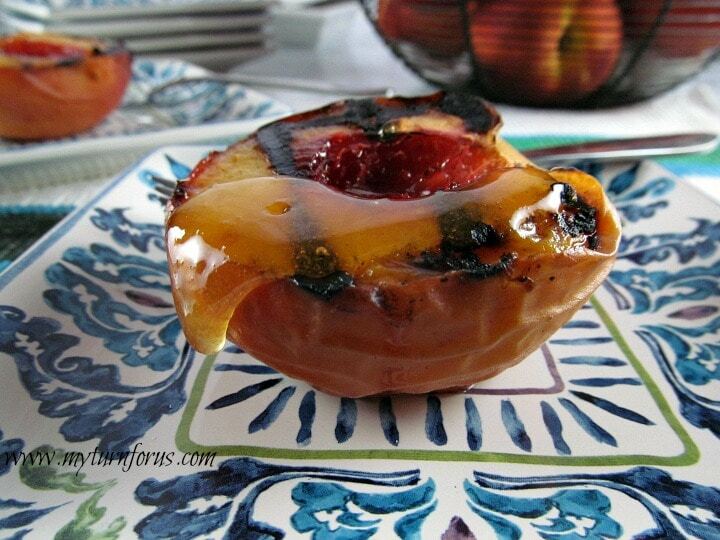 These Grilled Peaches have a delicate smoky flavor from being grilled outside on the grill. Then a spoonful of honey is added and then they are topped with chopped pecans and feta cheese. 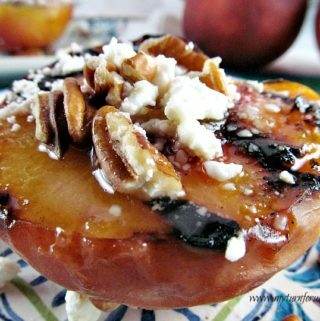 We didn’t grow up eating grilled fruit, our fathers would have looked at us in disbelief if anyone had ever mentioned throwing a peach on the grill. Grills were for steaks, burgers, and hot dogs or sausages! You know, man food! Maybe a potato thrown in the coals of a campfire but never a peach on the grill. But we have learned that grilling fruit brings out an intense sweetness and adds a smoky flavor which can’t be beaten. 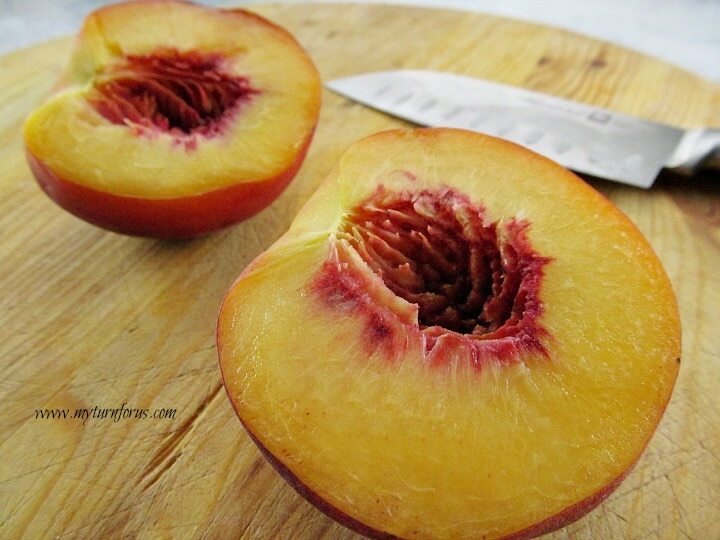 Start with firm ripe fresh peaches, cut into halves and remove the pit removed. 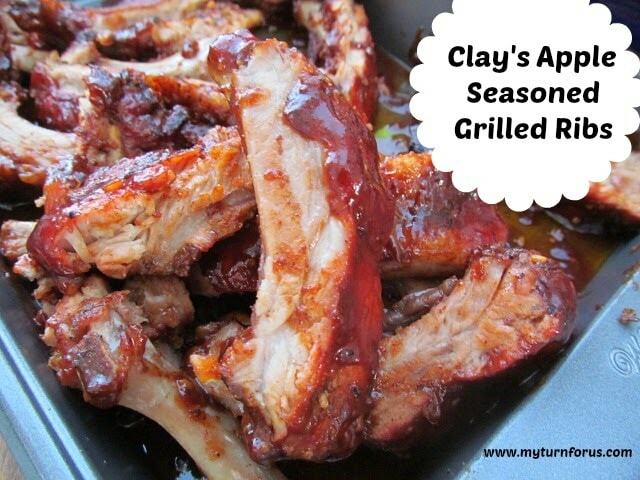 Light up the grill or heat up a grill pan on the stove. 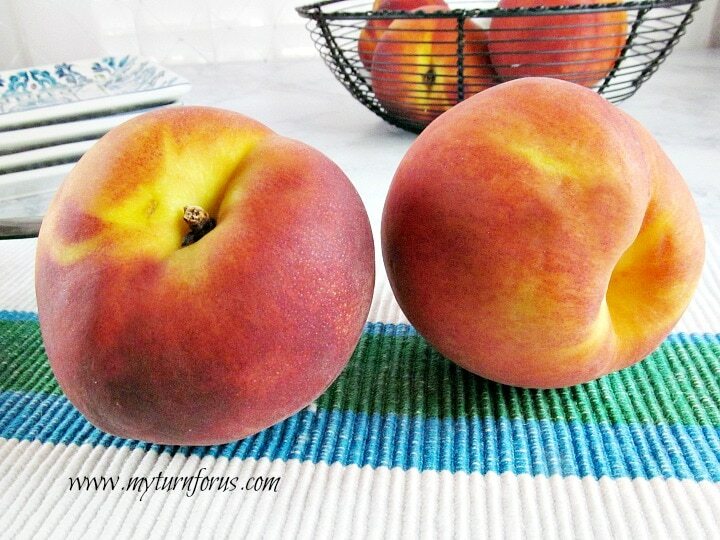 Spray the peach halves with a cooking spray or brush with olive oil and grill for about 4-5 minutes on each side. Spoon honey on the warmed fruit and top with pecans and feta cheese to make a dessert or a side dish. 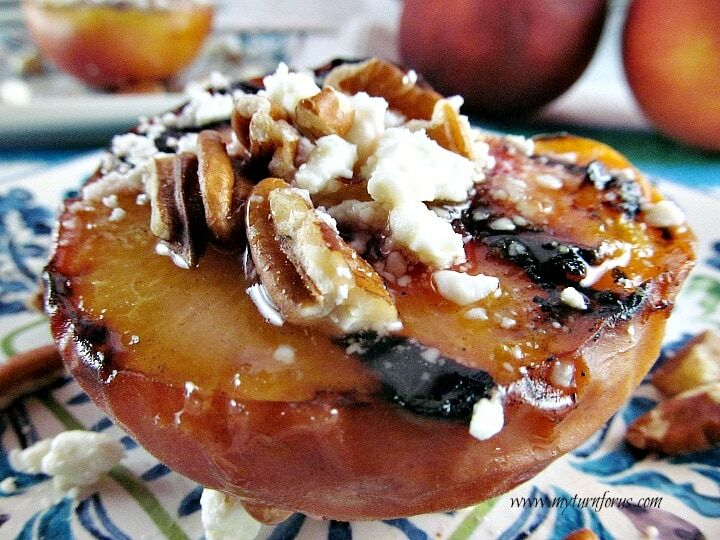 I believe we could have turned our fathers into grilled peach lovers with this flavorful dish. 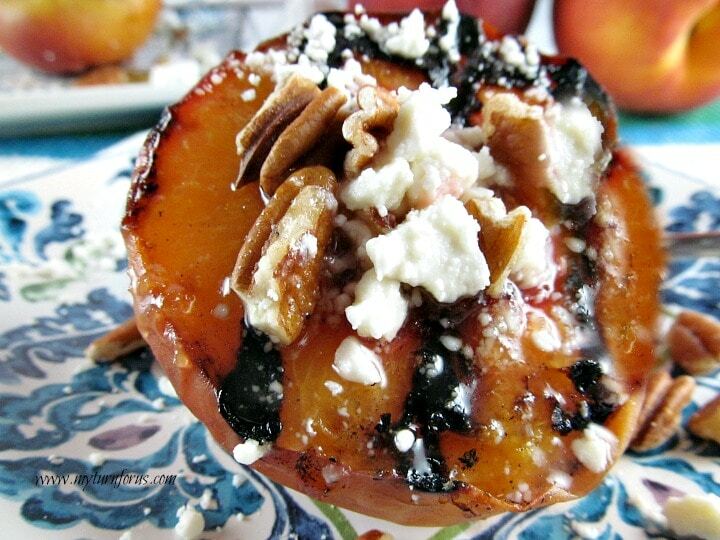 Who could deny themselves a sweet smoky peach topped with honey, pecans and feta cheese? 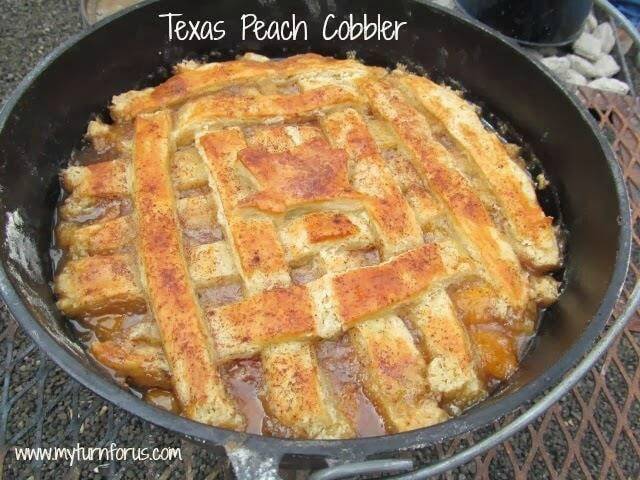 These peaches could also be grilled inside using an indoor smokeless grill or this stovetop grill pan by Lodge.